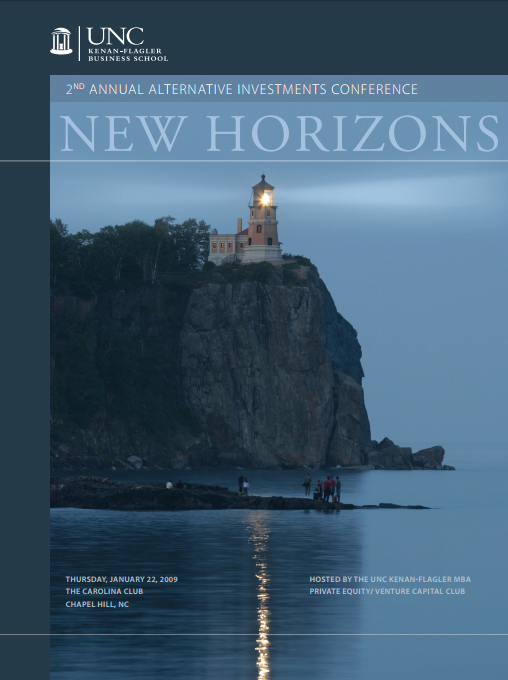 Since 2008, the Alternative Investments Conference has served as a forum for private equity, hedge fund, venture capital, and other alternative asset professionals to network, share ideas, and stay abreast of industry trends. 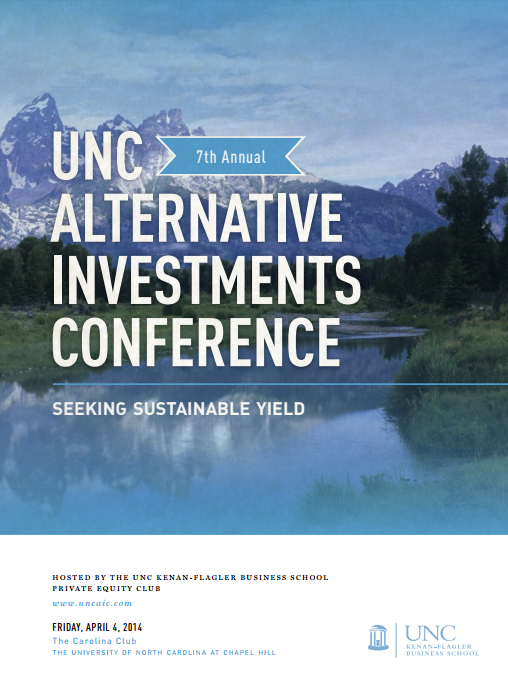 The conference provides insights into current topics in alternative investments as well as the opportunity to meet and learn from some of the most influential industry leaders. 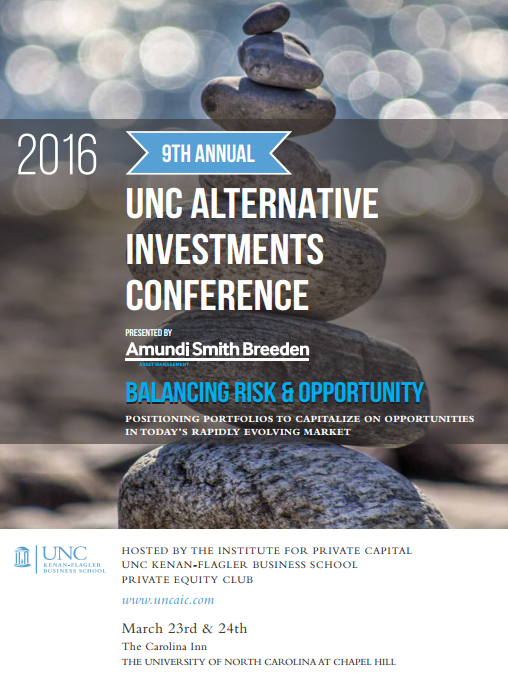 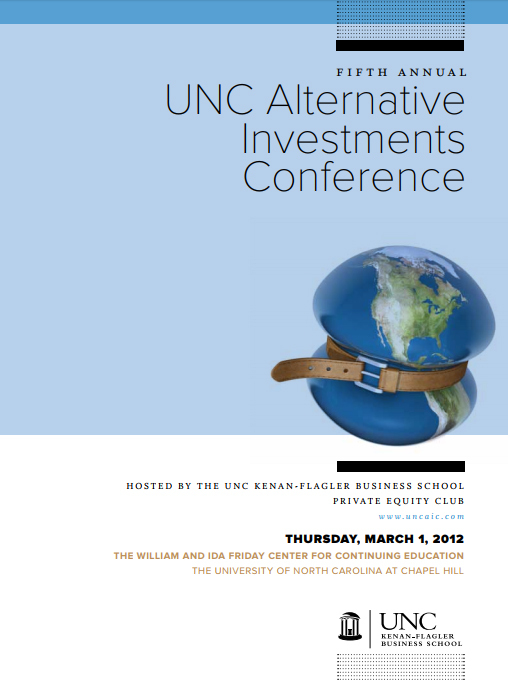 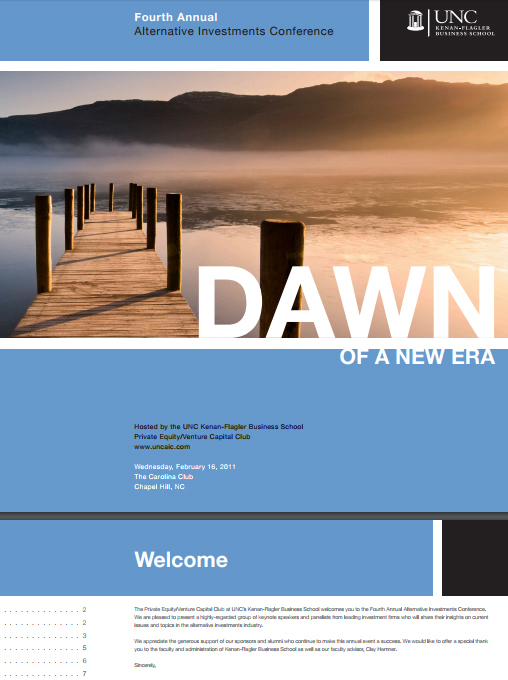 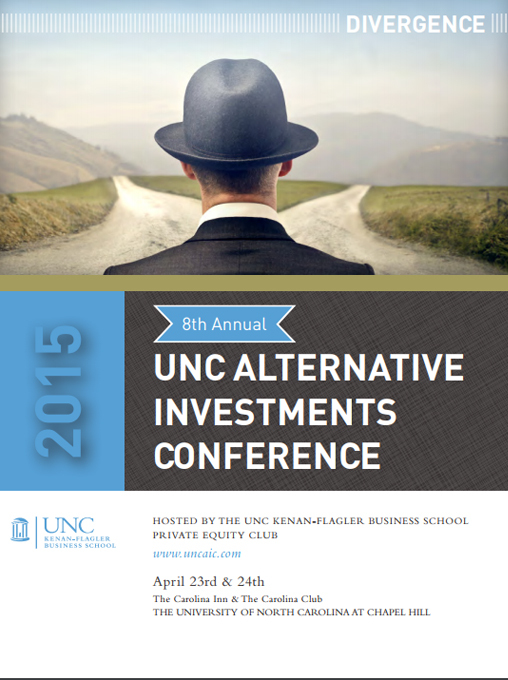 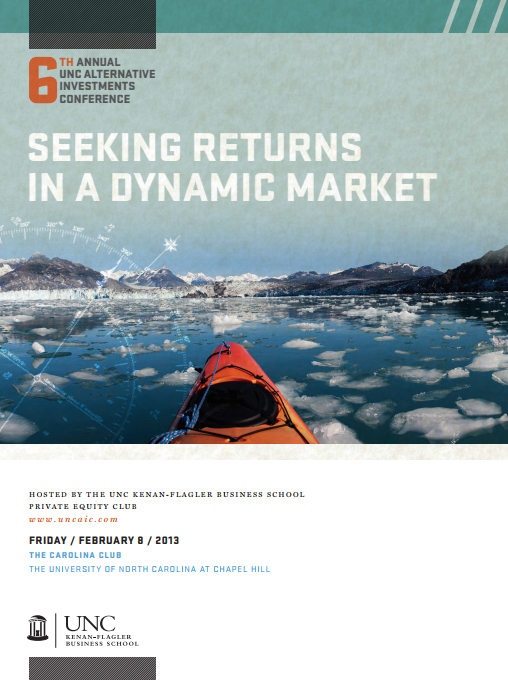 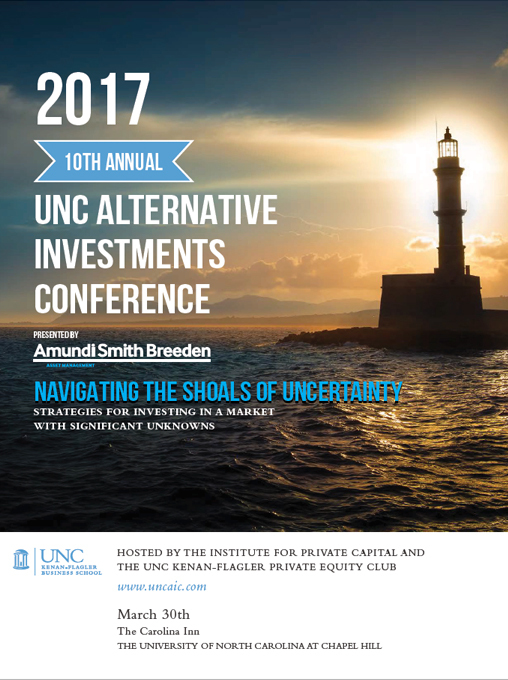 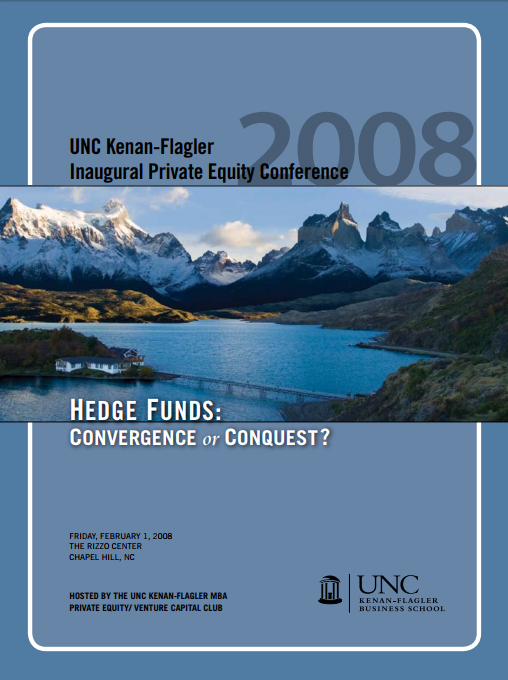 The UNC Alternative Investments Conference is sponsored by the Institute for Private Capital at the University of North Carolina at Chapel Hill. 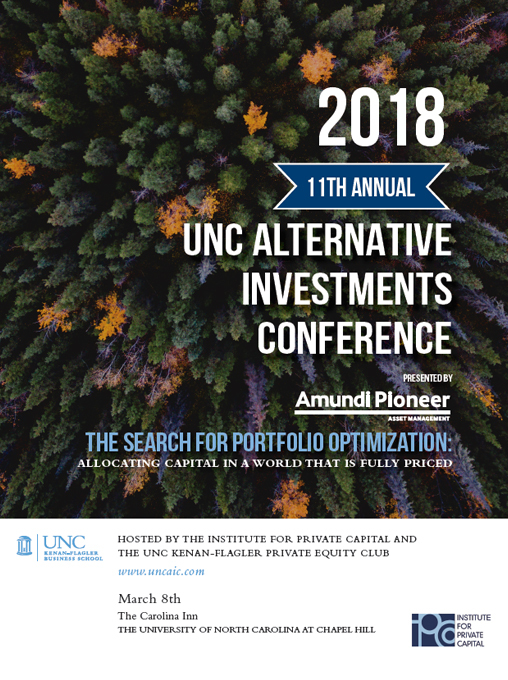 Past keynote speakers have included Jonathan Gray (Blackstone), Lee Ainslie (Maverick Capital), Glenn Hutchins (Silver Lake), David Bonderman (TPG), Mark Yusko (Morgan Creek Capital), Daniel D’Aniello (The Carlyle Group), Whitney Tilson (T2 Partners), Gary Parr (Apollo), Mark Patterson (MatlinPatterson), John Townsend (Tiger Management), and Bennett Goodman (GSO Capital). 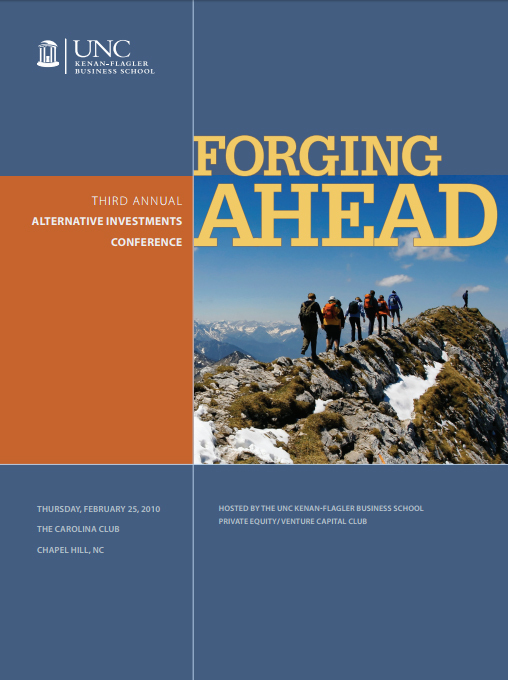 Conference participation allows for earning continuing education credits required for several professional organizations such as the CFA, CFP, and CLE.